Love is… a new Puppy! Puppies emit oohs and awes, a je nais se quoiemotion that is nearly universal. And while so many would love a new puppy, a real life new dog is not always in the cards. Peppy Pets to the rescue! Young children and parents alike will love the irresistible personality of these adorable dogs! They are great for training kids how to take care of their pup without the mess by going for walks with Peppy Pups and playing with them so they get all the attention they need! Or a great companion for your other pets! Peppy Pets™ brings to life the authenticity of puppy friendship, complete with a pup that follows its owner everywhere. The cuddly plush puppy has a spring in its step and when walked by its owner, can run, jump and wag its tail like a real dog. Whether for National Puppy Day (March 23rd), or anytime – Peppy Pets are a perfect addition to the family. 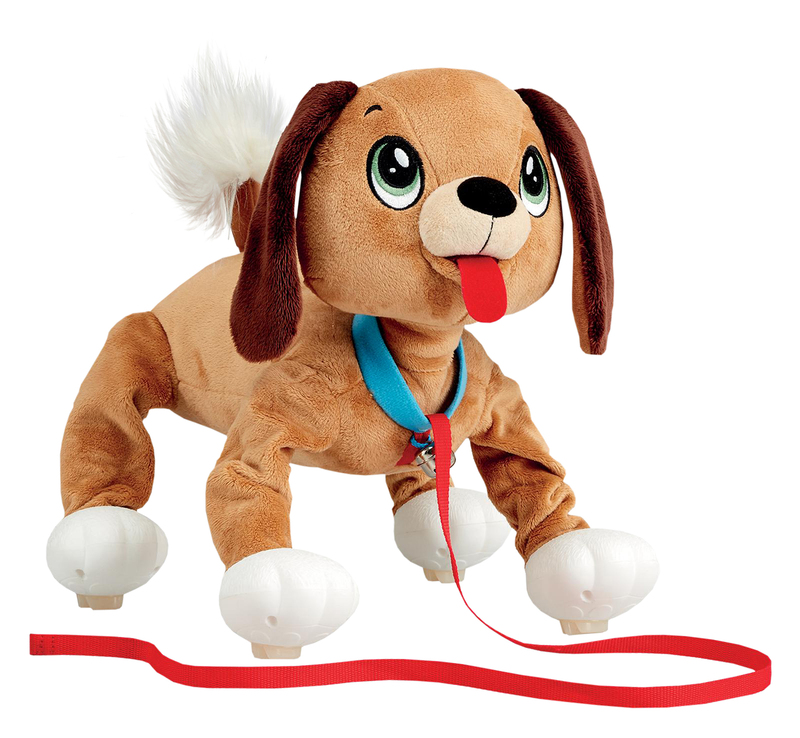 Brimming with personality and no batteries needed, Peppy Pets have ultra soft fur, distinct paw pads and springs in their feet that help these eager Peppy Pups move and prance, just like a real dog. Peppy Pups bounce, jump and waddle as they go for “walks” with their kid owners, and turn heads as they go. Peppy Pups adore cuddling, snuggles and squeezes, showing characteristics of a real dog that all pet lovers embrace. Peppy Pets from TPF Toys is available at retailers nationwide. Ideal for children ages 4+, Peppy Pups are available in available in – soft brown, and black and white – and are available at Toys “R” Us nationwide, priced at $19.99. Previous post: $100 Foster Farm Products Giveaway! Next post: Northside Shoe Giveaway!